HomeGastric BypassIs there a Gastric Bypass Diet? Are you tired of diets that don’t work? So are many of the 63% of Americans who are overweight, or even obese. Maybe you feel like you’ve tried them all. But there’s one you probably haven’t tried. That’s the one you have to go on after you’ve had Bariatric Surgery. A Gastric Bypass Diet is one diet you have to follow or you could get very sick. What is a Gastric Bypass Diet? Gastric Lap-band Surgery– One of the most popular and safest Bariatric Surgeries, the stomach size is reduced with a silicone band that can be tightened or loosened based on patient needs. Gastric Bypass Surgery – Here the stomach is restricted to a small pocket which is then connected to the small intestines. Gastric Sleeve Surgery – In this procedure the stomach size is permanently reduced and attached to the small intestines. The resulting stomach looks like a tube or “sleeve”. With each of the above procedures the post-surgical diet and intake are very carefully planned and monitored. The following video contains low quality audio, it is followed by a Transcript for clarity. Intro: This is Doug Dunt for Global Medical News Network reporting from the annual meeting of the Endocrine Society in San Diego. During the press briefing Dr. Judith Carner presented findings from a study of 14 obese patients with Type II Diabetes. Physician: What we found is that there is a much greater improvement after the Bypass Procedure in terms of the way the body deals with, because, the way the body makes Insulin compared to the people who lost the same amount of weight on a diet. And what this is telling us is that, independent of all this hormone secretion that occurs with a meal, if you even just inject your body with Glucose, after the Bypass you’re much more able to deal with, uhm, Blood Sugar. This is a particular experiment with a few individuals in a very, uhm, uh, strict type of protocol. And I don’t want us to come away from it saying that the Bypass is definitely better for the treatment of Diabetes than diet. And the reason I don’t want to say that is because we, the people who are on the diet, lost weight much slower. So it took 8 weeks for those on the diet to lose weight, as opposed to the 3 weeks for those on the Bypass. Uhm, in this scenario of the Bypass there’s that. The question is if we were to be able to get people on the diet to lose weight at the same rate as those with the Bypass, would the Bypass be beneficial? 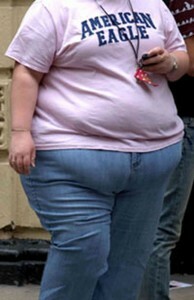 You cannot put someone on a diet that has as few calories as, uhm, the person who had the Bypass. Closing: This is Doug Dunt for Global Medical News Network. What Happens if I Don’t Follow my Gastric Bypass Diet? Not following orders can be bad! What Can I Eat on a Gastric Bypass Diet? Diets can vary depending on your surgery and where you have the procedure done, but they all basically have Phases that are designed to let your stomach adjust to the new demands. How fast you progress is dependent on how well you recover and how strictly you follow doctor’s instructions. The following is just a sample Post-Surgical Gastric Bypass Diet, and is not meant to be medical advice. Make sure to blend these foods with a liquid you are allowed to have. This will greatly aid in digestion. This phase of your Gastric Bypass Diet can be from 2-4 weeks long, and keep in mind it is very possible that your stomach has developed some sensitivities it didn’t have before surgery. With your doctor’s OK, you may now begin to eat soft foods (can be mashed with you fork) for the next 8 weeks or so. Your stomach and how it tolerates food will be your telling guide. You’ll know when you’ve eaten something you shouldn’t eat again. This can be the start of returning to a “new normalcy” that will allow you to establish healthy eating habits. Once you get the all clear, you may start to have regular solid foods with your Gastric Bypass Diet again; within reason. You should avoid spicy or “crunchy” foods as these will likely irritate your new stomach. Be sensitive, to what your stomach is sensitive to. If it irritates or nauseates, don’t eat it again. Gradually you’ll learn the dos and don’ts of your new digestive system. Once you’ve had the surgery there is no wiggle room for different Foods and Phases, but there are diets out there based on what a person who’s had Bariatric Surgery would eat. A Non-Surgical Gastric Bypass Diet might indeed work for you. There are numerous examples of these diets, some fairly creative and effective. If you want an alternative to surgery these diets may be well worth a try. Absolutely, and you have to follow it. If you deviate from your Gastric Bypass Diet, it could have dire consequences. Follow your doctor and your dietician’s advice to the letter. Once you’ve started the process a Gastric Bypass Diet could be the key to a new life. True or False: I can eat solid foods 6 weeks after Bariatric Surgery. Which can you have during Phase 1 of your Gastric Bypass Diet? Which is NOT a type of Bariatric Surgery? • Why Do I Want/Need to Lose Weight? • Have I Tried Other Weight Loss Methods? • What are the Various Surgical Methods, and Which is Right for Me? • What to Expect Before, During, and After? Gastric Sleeve Surgery Should I Have Weight Loss Surgery? What Are Some Weight Loss Surgery Options? What is Gastric Bypass Surgery? A buddy of mine just told me that he’s thinking of getting gastric bypass. He’s a big guy and I’ve seen him put away a ton of food at one sitting. Gonna have him read this post there so he knows what he’s gonna have to eat afterwards. 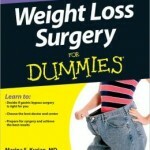 I heard that you have to follow a strict diet before getting the surgery too. I wonder if people can do that, why they need gastric bypass to begin with. Afterwards hopefully you simply can’t eat the same anymore. 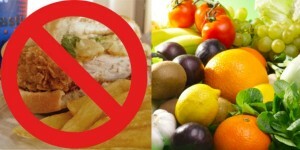 It’s a struggle for people who have the surgery to avoid the same foods that got them in the predicament to begin with. In the beginning it’s simply impossible to eat cookies and burgers, but after healing, those foods seem just as attractive as before. Behavior modification help is often needed. Very insightful comment Cmarten, and absolutely correct. Returning to old eating habits is the number one reason why some people who have Gastric Bypass Surgery gain back their weight. The behavior modifications you are talking about are now starting to be standard treatment for those who have Bariatric Surgery. Thanks for all the information on this topic. When I told my mom about the diet she’d need to follow after the surgery, she didn’t quiet believe me. She assumed she’d come out of the OR and start pounding down french fries and chicken tenders. LOL. Well, I showed her this article and it didn’t deter her. Yeah, pounding french fries and chicken tenders would be potentially lethal after Gastric or Lap-Band Surgery. There are some Bariatric Surgeries where you can reverse the process for times of craving, but otherwise the post operative diet is rather strict. Thanks for sharing.